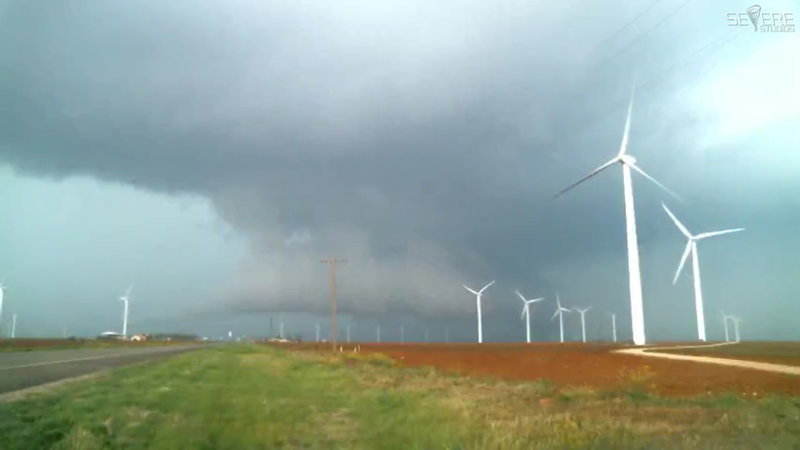 Thought I'd start a new thread for those who want to follow/post about severe storms and the live streaming of it across Tornado Alley over the coming weeks. The next few days are looking quite active as a few upper troughs move east across the CONUS. Lee cyclones develop over the central/south Plains as upper trough emerges from the mountain west, drawing moisture north over the Plains which destabilizes as the upper trough moves east. The severe risk then shifting east of the Mississippi with the trough the next day, then another trough arrives from the SW U.S. and the cycle repeats. SPC ENHANCED risk today for Oklahoma and N central Texas, lee low over W Oklahoma later with dry line extending south into NW/W Texas. Cold front further west eventually overtakes the dryline and marches east with the surface low to be over eastern Oklahoma around midnight local time. 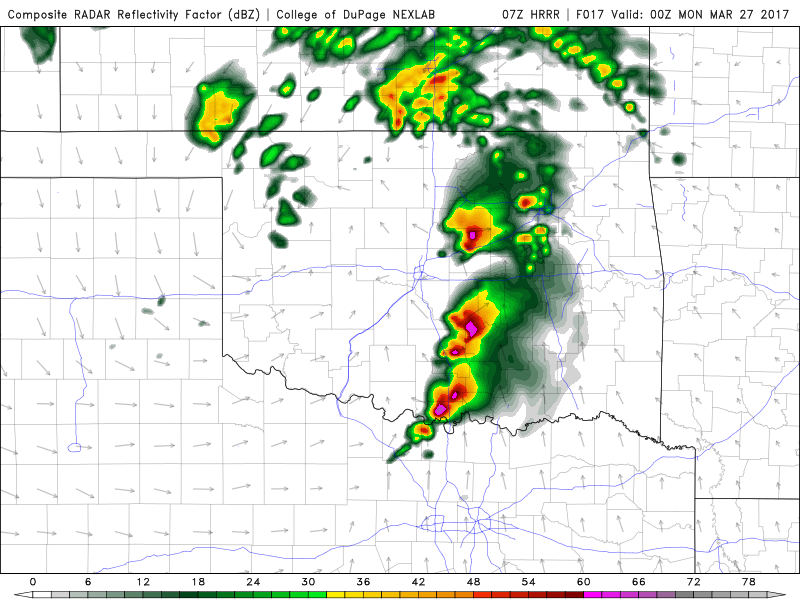 Supercells forecast to develop along dry line and in warm sector or towards low triple point. Uncertainties / concerns over quality of moisture return north across TX and OK for tornado potential. Dryline supercells could be high-based due to high temp to dewpoint spread, may have to follow dryline storms until moisture improves from the south and the temp-dew point spred falls, bases of any storms developing towards low centre moving over W to central Oklahoma around peak heating perhaps lower - where cloud bases / temp-dew point spread lower. Nonetheless, any storms could have very large hail. 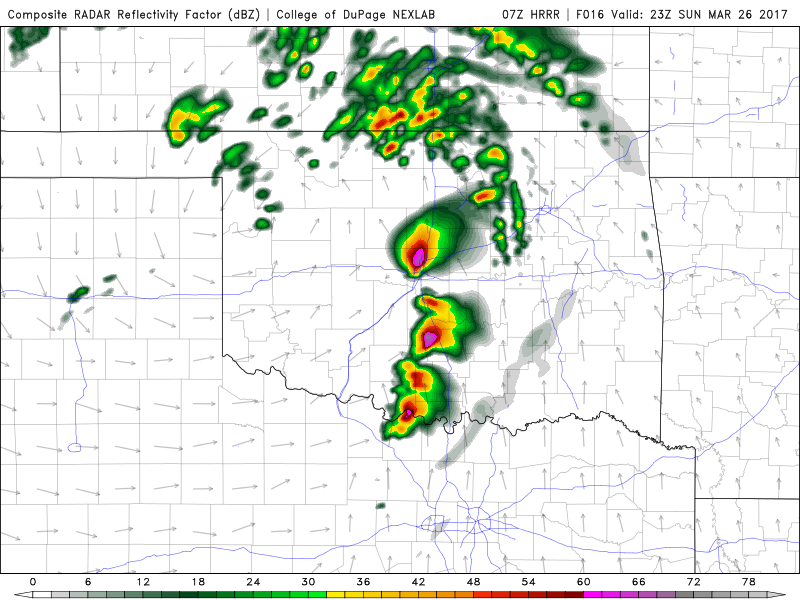 Looking at models, HRRR breaks out storms around 22z just west of I-35 corridor, GFS and NAM similarly breaks storms out along I-35 corridor by 00z. 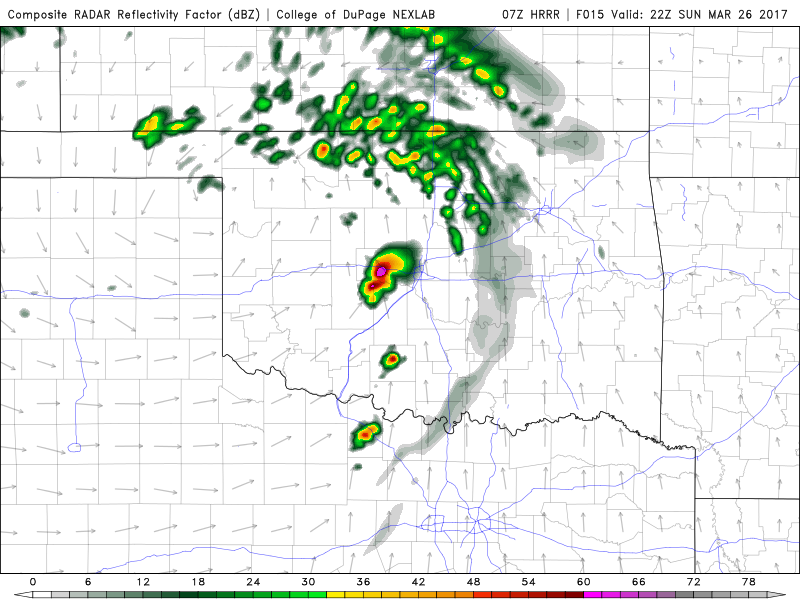 Think I would target just west of the I-35 to the south of Oklahoma City and see what happens along the dryline, maybe shoot northwest if storms look better near low centre and triple point. Back west to western Texas on Tuesday for an already ENHANCED risk, so could be a big severe day to follow. Where do you get the frontal analysis charts from, Nick? A series of impulses and quite a 'late Spring' feel about the pattern. Hopefully it isn't using up all the potential before May. Tues looks fairly high end compared to tonight just going by richer moisture return. Mind you high based discrete supercells can be visually stunning. 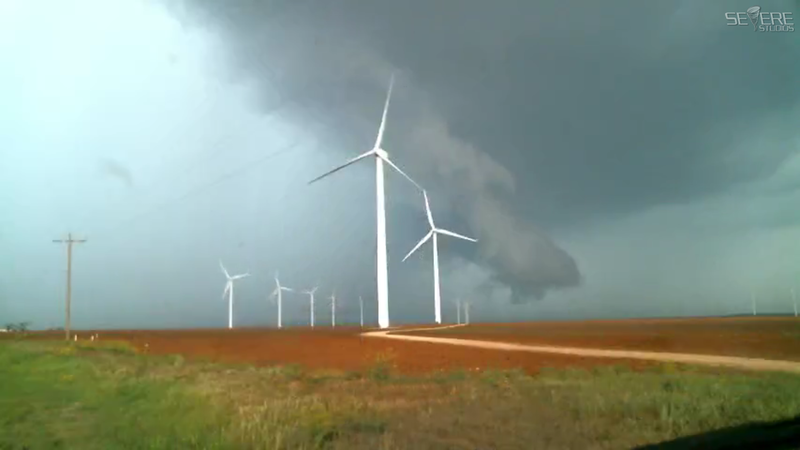 https://livestormchasing.com/map <--- a number of chasers streaming on there right now and looks like Brandon Copic is in the best place so far, moving through Pernell, OK. So the very late spring like pattern continues into April looking at the medium term models. Sat/Sun could be quite big central plains. So today is looking pretty good for severe storms and possible tornadoes with greater moisture in place than on Sunday. SPC have a 10% tornado risk forecast which isn't bad. As for initial targets for today, mine would be Childress. May be a bit too far northeast so would use the Highway To Heaven the 287! Think today will be more productive for tornadoes than Sunday with better quality moisture. I'm currently sat in Seymour, (figuratively speaking) at the Crossroads, a major road in every direction at the moment..
East of Lubbock seems to be the place to be at the mo..
are you still in Seymour Dorsetbred?,you look like being in a good spot. Edit:T-warning now on the east Lubbock cell,Charles peek is on it. Interesting the action is to the east at the moment. Colder air is digging in to Colorado & New Mexico, and the line of activity is really winding up. Was watching Charles Peek on stream recently and the rainfall was amazing. Action is currently to the west of Seymour,, . And so the line marches Northeastwards..
Supercell SW of Abilene looks most interesting at the moment, as it's discrete still ahead of the squall a little further west. Unfortunately i'm hearing about fatalities among some storm-chasers in TX tonight. Derrick Ginter on severestudio's was one of the first at the scene. I'm hearing they were not impacted by the weather. Possible lack of concentration at a cross roads. It was Kelly Williamson and his chase buddy Randy Yarnall and Corbin Jaeger. I was a fan of the first two, had watched a couple of live streams of theirs on YouTube. Terribly sad for the family and friends and the Chasing community. A stark reminder of the dangers not just from the storms. Yes this is a tragic accident. Luckily his Youtube stream broke up as the crash occurred but you can see him blowing towards the junction which has the stop sign. Sadly not wearing a seatbelt didn't help. Will miss his chasing! I would have been watching but was at work for 530 this morning. A great loss but an avoidable one. Many reports speak of a failure to stop. I'm very saddened by this news. Have watched Kelley and Randy's streams on many occasions and enjoyed their Missouri-style take on things. And they chased everything, sometimes being the only crew on the road. In equally saddened by some of the comments I've seen about it. Accidents caused by lack of concentration can occur at any time and on any road and it's something anyone getting behind a wheel would do well to remember. My thoughts go out to the families of Kelley, Randy and the young man Corbin who was also a chaser. Chase on in heaven guys.